A complete roleplaying game in one volume! 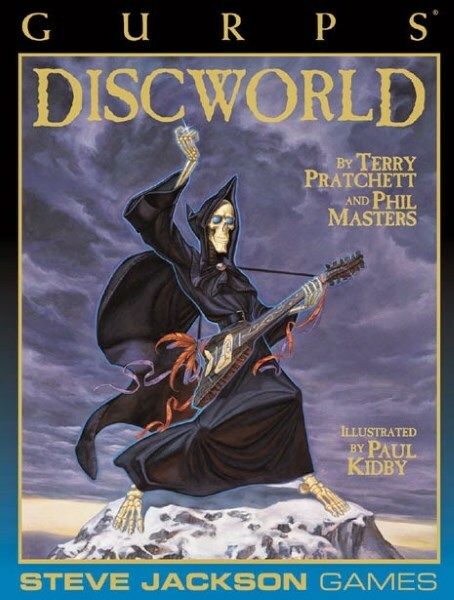 This book includes not only a full description of Terry Pratchett's Discworld (and, of course, its leading characters) in game terms, but also the GURPS Lite roleplaying rules. Only 32 pages long, these rules encompass everything you need to play, and are compatible with other GURPS (Generic Universal Roleplaying System) books. Or you can use this Discworld sourcebook with any game system.